Our local industry Kentucky Machine & Engineering was recognized at the Hopkinsville Chamber Small Business Awards Breakfast held at the Bruce Convention Center on February 12, 2013. KME received the Small Business Industry Award. The award was sponsored and presented by South Western Kentucky Economic Development organization. 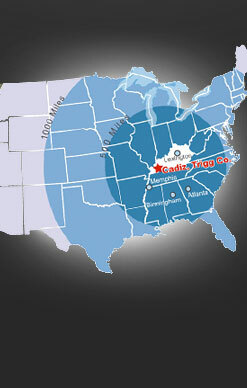 KME is a family business owned by President, Chappel Allen in Cadiz, KY. They have been in operation for over 41 years and play a major role in our regions economy.